Southfield, Mich., July 24, 2018 – Vesco Oil Corporation, one of the largest distributors of branded automotive and industrial lubricants in the United States and a leading provider of environmental services, including used oil and antifreeze collection, today announced the acquisition of Accurate Lubricants & Metalworking Fluids Inc, aka Acculube. Vesco Oil, a third-generation family-owned business founded in 1947, services the Michigan, Ohio, Pennsylvania and Indiana markets. For Vesco Oil the acquisition will enlarge its geographic footprint and expand its product and service offerings in Ohio. Founded in 1990 and based in Dayton, Ohio, Acculube is a leading distributor of industrial and metalworking fluids. It is a privately held distributor of Mobil industrial and commercial vehicle lubricants, and a distributor of industrial chemicals and metalworking fluids for Castrol and Houghton. Acculube President Chris Fisk will continue as the Dayton division manager for Vesco Oil. “We take great pride in serving our customers. Our relationship with Vesco Oil will only help them to grow and prosper,“ said Fisk. In the last eight years, Vesco Oil has expanded its business with existing suppliers including five locations in Cleveland, Columbus, Dayton, and Wauseon, Ohio, and Pittsburgh, Pennsylvania. Vesco Oil is one of the largest distributors of Mobil branded lubricants. Other key supplier relationships include Valvoline-VPS, Castrol Metalworking, Perkins, Motorcraft, MOC Products, Fortech, and Niteo. Vesco Oil Corporation is an ISO 9001 – 14001 certified and environmentally conscientious distributor, providing automotive and industrial customers with a full range of high quality lubricants and supporting services. Founded in 1947 by Eugene Epstein, Vesco Oil Corporation is one of the largest distributors of branded automotive and industrial lubricants in the United States and is a leading collector of used oil and antifreeze. The company also is a full service provider of automotive appearance products, sells a full line of metalworking fluids and is a leading provider of bulk windshield washer solvent and antifreeze. Vesco Oil Corporation is a majority women-owned business, receiving Certification from the Women’s Business Enterprise National Council. For more information, please call 800-527-5358 or visit www.vescooil.com. 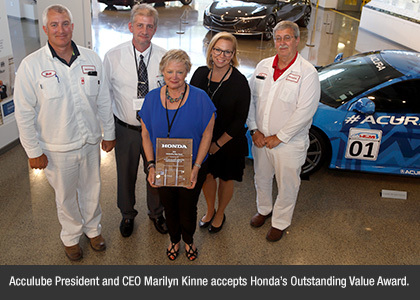 Honda honored Acculube for “providing the most value” and “a competitive advantage” to its five automotive plants in Ohio and Indiana at an award ceremony today at the Honda Heritage Center in Marysville, Ohio. Seventeen other companies, out of more than 5,000 MRO (Maintenance, Repair and Operational) suppliers also received recognition. The awards recognize achievements in the categories of Outstanding Value, Special Recognition, Performance Excellence and Supplier of the Year. Acculube also received an award in 2015. Honda manufactured a record 1.86 million automobiles in North America in 2015. Honda of America Mfg., Inc. employs 9200 Ohioans at the Marysville Auto Plant, East Liberty Auto Plant and Anna Engine Plant. The Marysville plant builds the Accord Sedan and Coupe and the Acura TLX and ILX Sedans. The East Liberty plant produces the Honda CR-V and the Acura RDX. Acculube congratulates its valued customer, Honda on receiving the Ohio EPA's highest award for environmental stewardship – the E3 Gold Level Award. Supporting ISO 14001 environmental management systems that drive continuous environmental improvements. For more than 3 decades, Acculube has worked with the region's leading manufacturers and process facilities to meet ambitious goals for both cost savings and environmental sustainability. 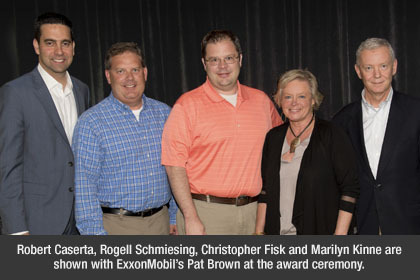 Acculube, a leading provider of lubricants and other critical fluids for industry and fleet maintenance, has been honored with Mobil's Circle of Excellence Award. Circle of Excellence is a national program that pays tribute to the highest achieving Mobil distributors for their dedication to business excellence, continuous improvement, and commitment to best practices. The award was presented at the annual conference of the Midwest Regional Lubricants Distributor Advisory Council. Acculube represents Mobil for virtually every industrial product category, including fluids used in metalworking, industrial operations, heavy truck maintenance, aviation, and food processing. Acculube is a repeat Circle of Excellence winner. Acculube was established in 1990. In addition to a broad product line, it offers comprehensive fluid management strategies to extend the life of fluids, while reducing tool wear, lowering production costs, and eliminating fluid emergencies. Its partnership with ExxonMobil spans 26 years. Mobil is the world's largest publicly traded international oil and gas company, and the world's largest refiner of petroleum products. 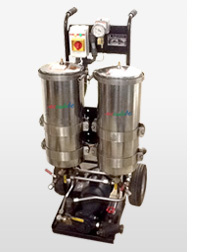 for contaminant-free fluids, and virtually maintenance-free filtration! alternative to conventional surface media filters. for conditioning lubricants that are in use, and when transferring lubricants from tanks to reservoirs. The Acculube Industrial Filtration System is a great alternative to buying, inventorying, installing, replacing, and managing fluid filters. Our cost-effective rental program brings this "best-available" fluid filtration technology to your plant, for use only when you need it. We'll set it up, and show your maintenance people the 6 simple steps for getting the greatest benefit and the greatest savings on lubricant.